Cleaners Stoke Newington is your local cleaning specialist. The company provides quality residential cleaning services of both general and specific nature. Whether you need a single carpet cleaned or a complete top to bottom spring cleaning done we got you covered. Cleaners Stoke Newington will deliver value for money service with a smile and attention to detail. The company’s wide range of quality house cleaning services is carried out by trained professional cleaners with plenty of prior experience and expertise. All of our cleaning staff has undergone additional company training to provide you with even higher standard of cleaning with no hassle and no fuss. Cleaners Stoke Newington aims at providing its services to more local residents through affordable prices and adequate quotes. In combination with our flexible appointment hours and our seven day a week coverage, we can assure our current and future customers that punctuality and courtesy will be our paramount. When it comes to comprehensive range of cleaning services, we are the place to come to for quality affordable service that will not fail you. Cleaners Stoke Newington offers its customers a list of moderately priced one-off services like our detailed end of tenancy cleaning, which covers the entire property and will help you obtain your rental deposit back. 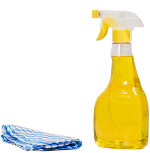 Our cleaners will do a superb job with your other one-off cleaning requirements like our deep cleaning service or the spring cleaning which is done at a fantastic price and will yield excellent, lasting results. We can also help you out with your larger, more complex cleaning issues like after builders or post renovation clean ups which require professional, firm approach. If you think we don’t have a touch for the finer side of cleaning, think again because Cleaners Stoke Newington offers all its customers professional carpet and upholstery cleaning performed by trained professionals with an eye for fine detail. These are just some of our many quality domestic services, if this isn’t enough then why not have us take care of the garden too, our excellent gardening service is a great way to finish off the day.